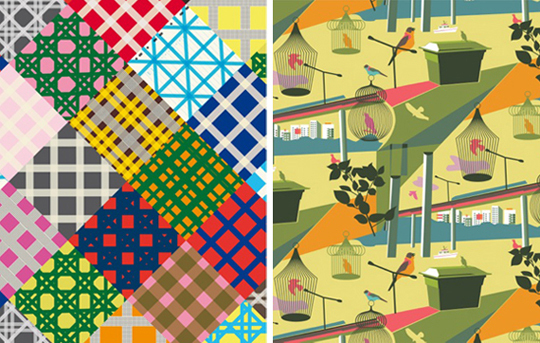 Cross-checked, 2010 and Öppen klass, 2008, patterns for IKEA. Cross-checked is made of scotch tape and colored paper from my local paper shop. Öppen klass, is inspired by my daily walks at Södermalm, where I have my office. You were very young when you started at Konstfack University College of Arts, Crafts and Design. Can you tell us a bit about you background? As a book designer you have created a completely new expression, more expressive, conceptual and commercial in a way. Can you tell us a bit about that? I was very young when I started at Konstfack University College and still young when I started my career, I felt as if I was in a bit of an underdog position, so I had to be very expressive to get attention for the books I was doing. I used to make dummy-books, just using whatever I could find and wrapping old books to be able to find out what new things I could do with the covers. I also tried to focus on the spine and back of the book. I wanted to create covers that didn’t look like covers used to. 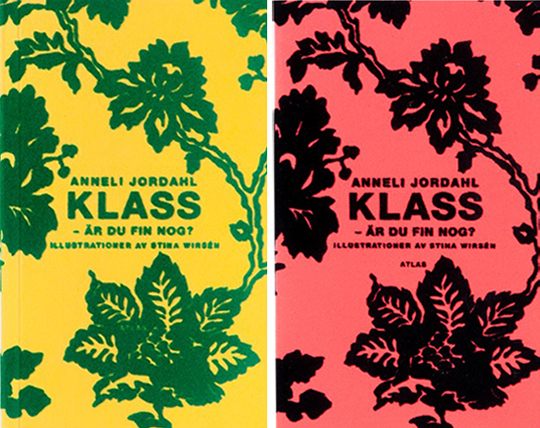 Klass – är du fin nog?, Anneli Jordahl, Atlas, 2003. In cooperation with Stina Wirsén. Floss print on yellow paperback. The hard cover-book was done with red velvet material. We also made three different pocket editions: two different floss prints and one in gold foil. How many covers have you made throughout the years? I honestly don’t know, I answered a 1000 many years ago, but I didn’t really know then either. I’ve kept all my invoices in a box thru the years, I thought I should make a list of all the books before I can throw it away … its complicated! Is there any graphic designer you admire or feel inspired by? I often get inspired by graphic design and other things I see. It’s funny but it is like the essential graphic design formula all over the western world has been the same since the 50’s and still is. We all have the same references. The Panache series, Albert Bonnier Förlag. 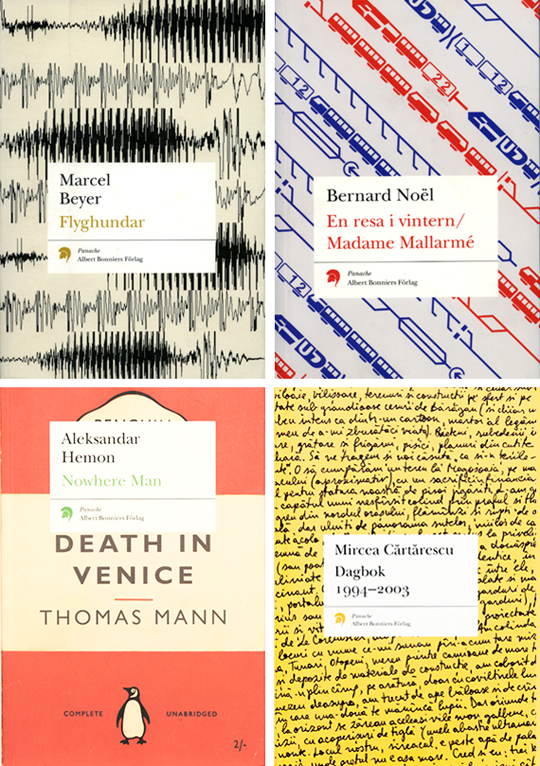 Various titles 2000–2011. We are often asked whether there is a difference between female and male aesthetics. What are your thoughts on this? I don’t think we are born with different aesthetics. But since there are so many differences between men and women in our society, I think the expectations from the clients or target groups for books make people create different aesthetics. I have a feeling that male designers get assignments targeted to a male audience and vice versa, but that is not because of actual differences, only ignorant choices people make and will make until our society is more equal. Brytpunkten, Zoë Strachan, Tivoli, 2003. 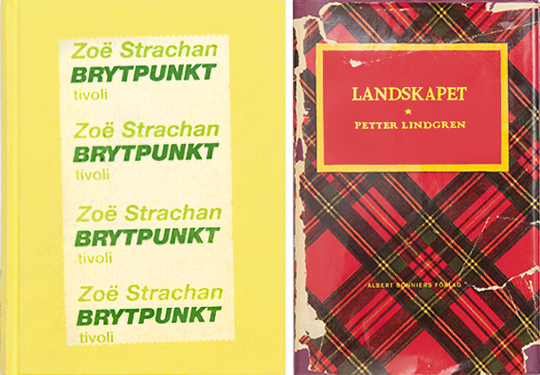 The title was printed on adhesive tape and applied by hand, which makes every cover unique. Landskapet, Petter Lindgren, Albert Bonnier Förlag, 2005. I met with the writer and brought an old book about tartan-patterns (there was a small passage in his book about a tartan-patterned thermos). He wanted his book to look exactly as my reference with the torn cover. Do you think role models are important? Has it been important to you? Maybe not in my actual work, I still have to solve my problems in my own way, but in general I think role models can be helpful and inspiring. I have had different role models, mostly picked from fashion (i.e: Vivienne Westwood) or art (i.e: Marianne Lindberg De Geer). I’ve thought about this a lot over the years: what will happen when I turn 40, 50, 60 … will it still be fun to work? Will I still get interesting assignments? I’ve not been able to find older female Swedish graphic designers as role models. We’ve heard that you are an avid collector, what do you collect? I just fall in love with certain things, but I do not have more than one or two of the same type of thing, so there are no collections… Maybe a collection of beginnings of collections! Expeditionen. Min kärlekshistoria. 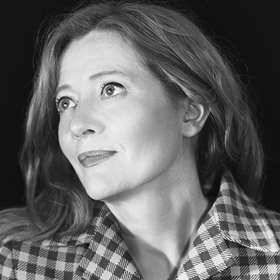 Bea Uusma, Norstedts, 2013. This book is written by my close friend Bea Uusma. We have shared office since we were students at Konstfack University College, and still were, when I made the first rough layouts in the summer of 2012. 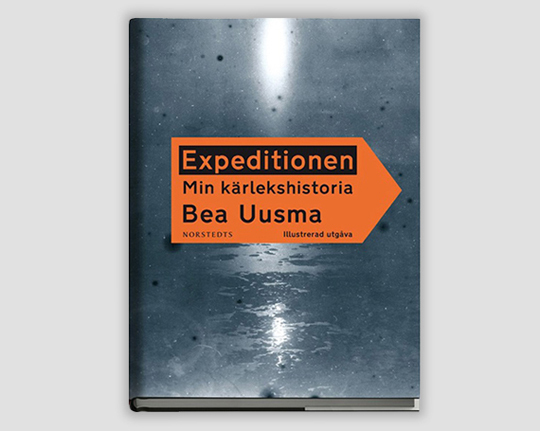 You designed the book Expeditionen by Bea Uusma that received Augustpriset earlier this year. Can you tell us how the book came about? I drew up a few layouts while Bea was still sharing my office space and working to finish writing the book. The walls of her rooms was filled with text of excerpts and pictures for the book, it looked like a crazy person lived there. Bea who has the same educational background as me wanted to see the design of the book in front of her while she was writing, while I have a hard time doing the layout if I don’t have the entire content. In the end we created a few standard page layouts for the book, like the light blue pages with Beas own text. Those pages became the building blocks for the book. Some of the ideas we didn’t really discuss, we talked about having a certain paper in the book and using colored paper for example. Working with Bea is special since we thru the years have gained a lot of knowledge about each others work. I know her preferences and she knows mine. She also possesses a fantastic memory and has the ability to pick up an old idea of mine and make it into something new. It was a pleasure to work on Expeditionen, even I became obsessed with it. We are both very picky and detail-oriented. We moved everything around. Changed the thickness of the lines and distances in every detail. I could lay awake at night thinking about the spacing. Always print the work, cut clean and hold it in your hand to see how it looks and feels like, do not only look at the screen. Rapport! 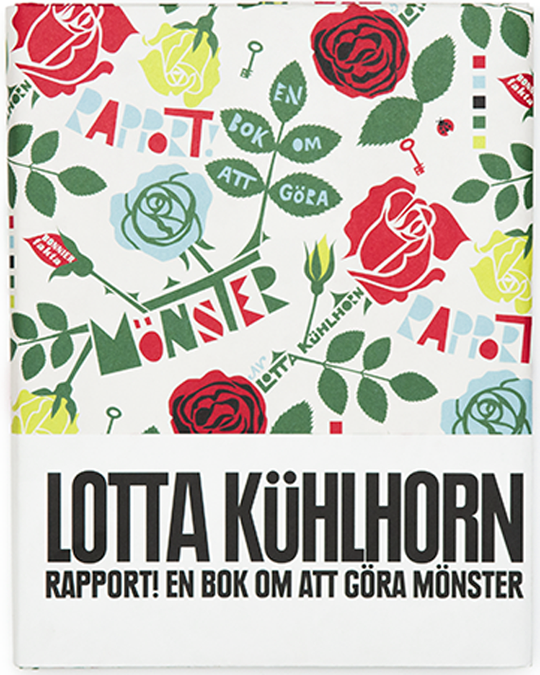 En bok om att göra mönster/A book on pattern design, Lotta Kühlhorn, Bonnier Fakta, 2012.